Valiant Comics' high-flying Zephyr gets made into a 7-inch tall super deformed plush! 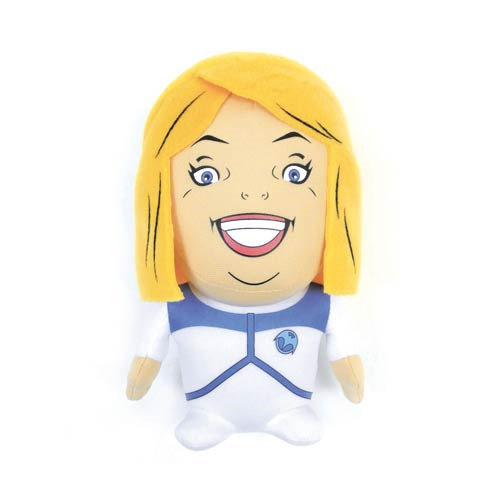 The Faith Herbert 7-Inch Super Deformed Plush features the founder of the Harbinger Resistance detailed in the Harbinger comic book series . Because she's just 7-inches tall she makes the perfect couch-side companion or display piece on your desk. If you were one of the many people who got into Valiant Comics in the early 1990s with the creation of Harbinger you're definitely going to want this Valiant Comics Faith Herbert 7-Inch Super Deformed Plush! Ages 14 and up.